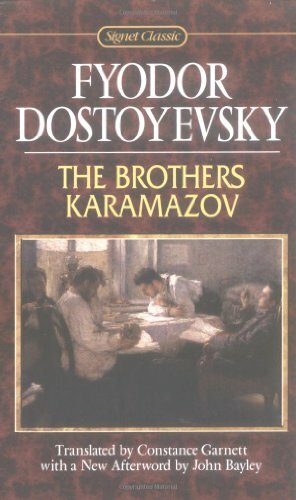 The Brothers Karamazov (Illustrated Modern Library Edition). 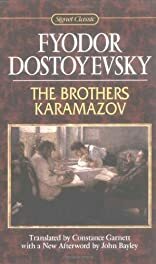 This novel was Dostoyevsky's last and finest work, telling the story of the four Karamazov brothers--each with his own distinct personality and desires. Driven by intense, uncontrollable emotions of rage and revenge, they all become involved in the brutal murder of their despicable father. Exploring the secret depths of humanity's struggles and sins, Dostoyevsky unfolds a grand epic which attempts to venture into mankind's darkest heart, and grasp the true meaning of existence. About John Bayley (Afterword, Introduction) : John Bayley is a published author of young adult books. Some of the published credits of John Bayley include Widower's House, Iris and Her Friends: A Memoir of Memory and Desire. About Manuel Komroff (Editor) : Manuel Komroff is a published author. Some of the published credits of Manuel Komroff include Mozart, The Brothers Karamazov, Marco Polo.